Exciting assessments: Sounds a bit contradictory, isn’t it? Learners often perceive assessments as boring and something enforced. But, an eLearning/online course would be incomplete without an assessment. Assessments give an opportunity to both learners and educators/course creators to test the extent to which learning has happened. Educators/course creators can thereby gauge what changes are required in the teaching/Instructional Design strategy. Learners too can improve their learning based on the feedback and scores they get. Instructional Designers and course creators make every effort to create engaging eLearning experiences. Can assessments be made equally engaging? In this article, let us look at this side to assessments and learn how we can add a bit of excitement to make formative and summative assessments more effective and meaningful using Raptivity. Raptivity is a simple yet powerful eLearning tool, with over 190 ready-to-use, customizable interaction templates. MCQs (Multiple Choice Questions), true or false, fill in the blanks, match the pairs, text input, etc. are some of the widely used interactivities for assessments. However, learners may get bored of taking these same activities each time. Let’s see how we can spice up both formative and summative assessments. 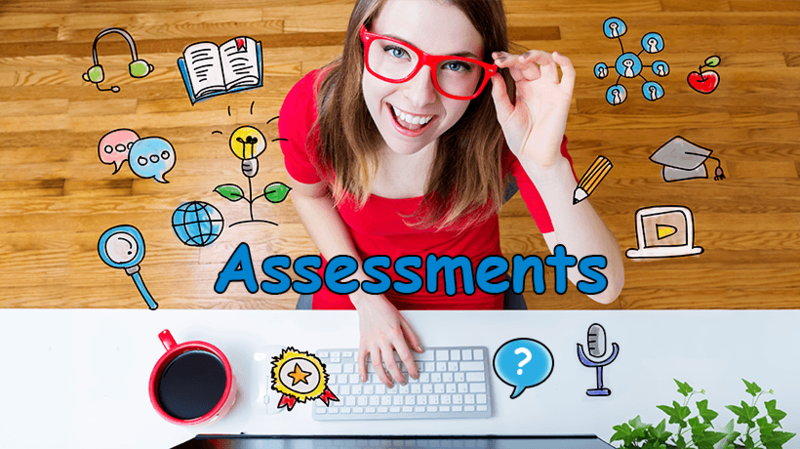 These assessments appear throughout the course and provide immediate feedback to learners. They usually have no or low score value. The goal is to let learners test their understanding and guide them to improved learning. There lies a huge scope to add interesting interactions for formative assessments. It all depends on your target audience and of course the subject matter. Following are some Raptivity interactions that can be used as formative assessments. Games add a fun element to the course and simplify the learning process too. Raptivity has lots of interesting games which can be effectively used as formative assessments. For example, a quick memory game can be perfect to recollect the learning and keep the learners engrossed. They can test and train their memory skills through matching of images, texts, or sounds. 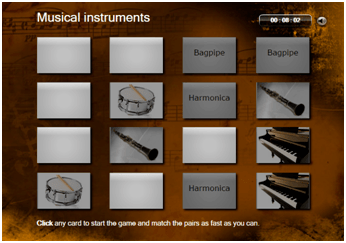 Here is a snapshot of one of the game interactions where the learner has to match correct musical instruments presented in the game. My personal favorite; this interaction type from Raptivity is your best bet to bring learner engagement to the table and reinforce learning at the same time. For example, the classification exercise can make the boring classification activity fun by enabling learners to classify images/phrases by dragging and dropping them into relevant containers. 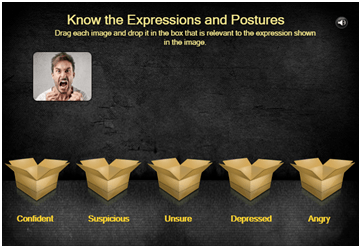 Here is a snapshot of this exercise where the learner has to drop the image (expression) in the appropriate boxes placed below. Scenarios can go a long way in creating an immersive learning experience for learners. Raptivity has scenario-based quizzes as a part of its artillery. They place learners into a particular situation and let them apply knowledge and skills. Learners can choose their own path to move forward in the scenario and learning objectives can be reinforced with instructive feedback for each learner choice. Here is the snapshot of one such interaction. In this exploratory situation, the learner needs to guide a character to his first day in office by clicking appropriate options. Summative assessments take place at the end of the course or an instructional unit to critically evaluate the learner’s performance and provide a grade/score. They have a high score value. The goal is to compare the learner’s scores against some benchmark and thereby evaluate his/her mastery of learning objectives. Raptivity recognizes the scope of summative assessments and provides various interactions to fulfill this need. These interactions record the learners’ responses on the Learning Management System and provide scoring feature too. You can also make them time-bound by adding a timer. These are typical assessments where you can infuse a variety of question types such as sequencing, text entry, multiple-choice questions, multiple answers questions, match the pairs, etc. Here is a quick look at the one page assessment interaction from Raptivity. Visual assessment is preferred to present stories or scenarios in an open-book type of assessment. In this Raptivity interaction, you can incorporate multimedia elements like visual introductory screen or audio-visual questions to make it interesting for the learners. Here is a quick snapshot of a sample visual assessment created in Raptivity. It is based on the famous fable, ‘Our Iceberg is Melting’, by John Kotter. You can give an interesting twist to summative assessments by using games that can be scored. Raptivity has such games that can present the questions in a unique way so that the learner gets hooked into the assessment, for example, the Million Dollar Game. 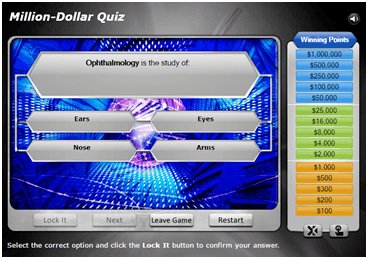 This game involves conventional MCQs but they are posed in such a way that learners earn scores as dollars and move to next levels. 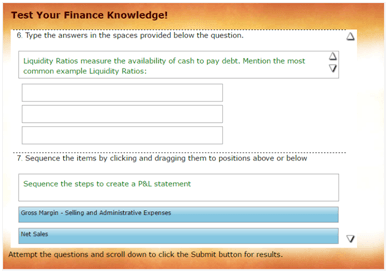 You can set easier questions for low scores and difficult questions for higher scores. Learners get ‘hint’ and ‘fifty-fifty’ help options, if they are stuck on a particular question. The ‘Winning Points’ table shows the learner’s progress through different levels of the game. To sum up, Raptivity can be used creatively to take formative and summative assessments to a whole new level of learner engagement and learning reinforcement. In addition to assessments, games, and exercises, Raptivity’s rich collection of interaction templates ranges across categories such as exploration, glossary, interactive diagrams, presentation aids, simulations, storytelling, surveys, and videos.  Raptivity has helped numerous instructional designers and course developers to create interactive and learner-friendly eLearning content in a cost-efficient manner. Interested to know more about how you can use Raptivity interactions for formative and summative assessments and your other eLearning needs? Take a 14 day free trial or contact us, or simply write to us at info@raptivity.com.